In the Old Harbour restaurants are located around the water, just around the corner. The Markthal, on the Blaak is also very close. In this spectacular building you will find many restaurants and shops, like Jamie’s Italian and Fellini. A walk alongside the ancient Laurens Church and you are in the Meent, a street with expensive shops and famous Rotterdam restaurants such as Dudok and Amarone. 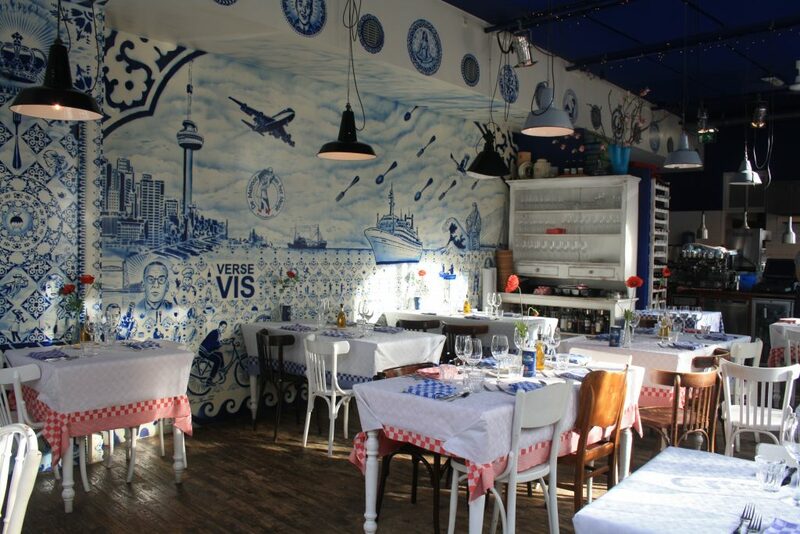 Take a foodsafari in Rotterdam and you will find many exciting spots. Discover the Fenix food factory en the Deli Square on the Kaap island (Katendrecht). Close to Centraal Station in the Hofbogen (the arches under the railway viaduct) are some very nice restaurants and bars. The Nieuwe Binnenweg is very long street with restaurants from all over the world (African, Indian, Dutch, Surinam etc.) and very nice vintage and special shops.. Another very international foodie location is the Witte de Withstraat, a mix of galleries, restaurants and designer shops. Also interesting is the Kunsthal (various exhibitions) and the Maritime Museum (nautical history). 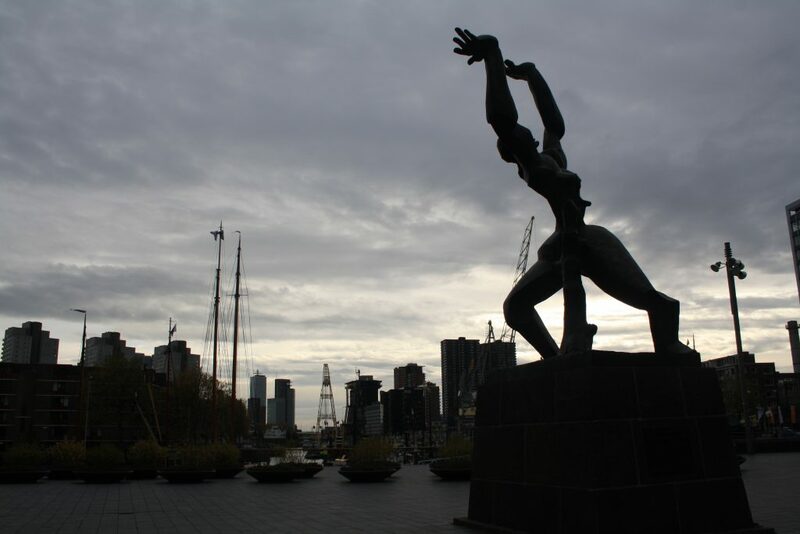 Walk along the Maas River and you will enjoy the most of Rotterdam Architecture, the Erasmus Bridge, building Rotterdam (Rem Koolhaas). 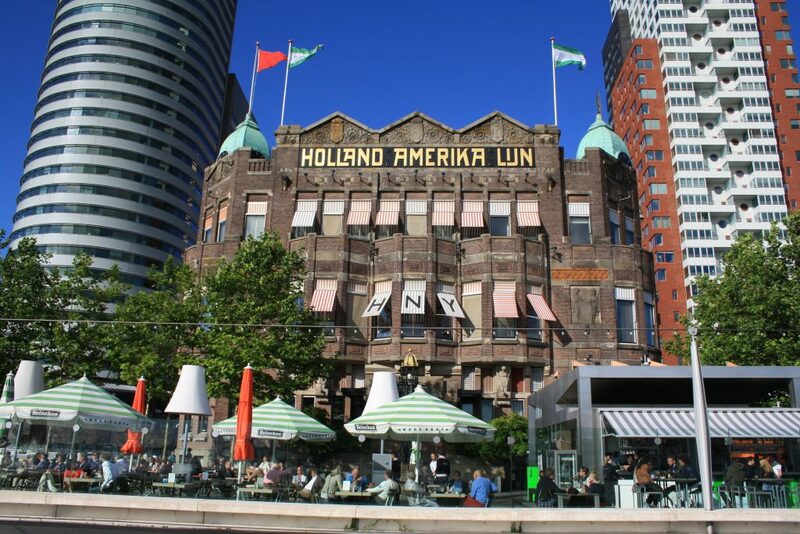 At the other side of the water is the Dutch Photograpy Museum, and a mix of old and new architecture Hotel New York, building New Orleans, have a drink in Cinema Lantaren venster and enjoy a fantastic view on the water. The Rothor location is very close to the shops in the center. In and around the Koopgoot/Coolsingel you will find all the big department stores. In the Meent and around the Markthallen there are many interesting fashion and vintage shops. On the Blaak there is a big street market on Saturday and Tuesday, food and vintage. Rotterdam is a festival city. Check https://en.rotterdam.info/ for more information. 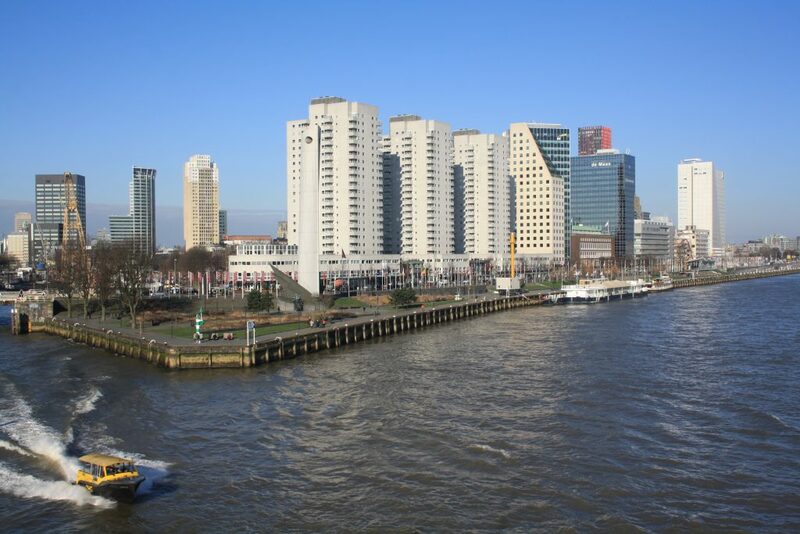 Take a walk on the beautiful north and south bank of the Maas river. The distance is about 28 kilometers, in parts of 3,5 kilometers, with tunnels, bridges and views. 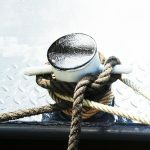 There is a routemap on the Rothor, or check this site for more information.